Let’s begin with the misleading aspects of the analogy. China is not the Soviet Union — it is not a revolutionary state that is ideologically committed to the destruction of the capitalist world. Rather, China is deeply integrated into the global economy, to the point of being the primary trading partner of all of America’s treaty allies in the Asia-Pacific. Although the U.S.-China relationship is worsening before our eyes, there remain areas with some degree of common interest: preserving the stability of the international economy, for instance, or combating climate change. Finally, the current distribution of global power is not nearly as bipolar as it was during the Cold War. For these and other reasons, the U.S.-China competition may bear more resemblance to the competition during the late 19th and early 20th centuries between the United Kingdom and Germany —increasingly fierce rivals despite being deeply interlinked economically. First, the Cold War analogy shows that multidimensional challenges require multidimensional responses. What made the Soviet menace so potent was that it combined a military threat to areas that were critical to the global balance of power with an ideological threat to the supremacy — perhaps even the survival — of liberal ideas. As a result, the U.S. and its allies responded not just with military and geopolitical containment of Soviet power, but with policies — from the Marshall Plan to public diplomacy initiatives — meant to fortify the democratic core of the Western bloc and demonstrate that communism offered a false answer to the world’s political and economic problems. Any strategy for competing with China will therefore require efforts to fortify the balance of ideas — by strengthening democracies under pressure and making the case that liberal political systems can deliver the goods — and to fortify the balance of power. The Trump administration’s formal policy statements, particularly the National Security Strategy, offer a good start, but the president himself has shown scant interest in this dimension of the competition. Second, the history of the Cold War reminds us that the U.S. needs a theory of victory that can be sustained over a generation or more. The value of George Kennan’s concept of containment was that it identified what the U.S. sought to achieve — containing Soviet influence until the Kremlin regime mellowed or crumbled — and how it would do so, by denying Moscow the fruits of expansion and increasing the pressure under which it operated. That strategy was simple enough that it could be replicated across presidential administrations, but flexible enough that it could be adapted as political and geopolitical circumstances changed. The U.S. today finds itself in search of such a concept. There is broad consensus that engagement has failed to tame a rising China, and that a more competitive approach is required. Yet U.S. officials have not really clarified America’s long-term strategic goal. Is it regime change? Holding the line against further expansion of Chinese geopolitical and ideological influence? Cutting a comprehensive deal that will resolve U.S.-China tensions? Nor have they explained how Washington will get there. And while the Trump administration deserves credit for raising public awareness of the challenge, it has also politicized the debate in unhelpful ways. In October, for instance, U.S. Vice President Mike Pence argued (rather dubiously) that China was interfering in America’s midterm elections because it “wants a different American president” — the sort of partisan rhetoric that is unlikely to solidify long-term support for any U.S. strategy. Finally, the Cold War analogy reminds us that a decisive factor in competition with China will be how well America tends to its alliances and partnerships. Those relationships were critical to what Secretary of State Dean Acheson called “situations of strength” in the competition with Moscow. They bound some of the world’s most important and dynamic nations to Washington and ensured that the communist world could never outstrip the collective strength of the free world. Alliances and partnerships will play a similarly critical role in the coming years. If the U.S. remains tightly linked to countries ringing China’s periphery, it will be devilishly difficult for Beijing to dominate its geopolitical neighborhood. 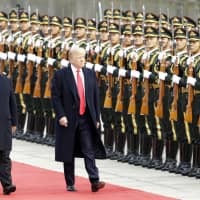 If the U.S. maintains solidarity with the world’s democracies — particularly in Europe and the Asia-Pacific — it will find it far easier to cope with the economic, ideological and geopolitical threat China poses. 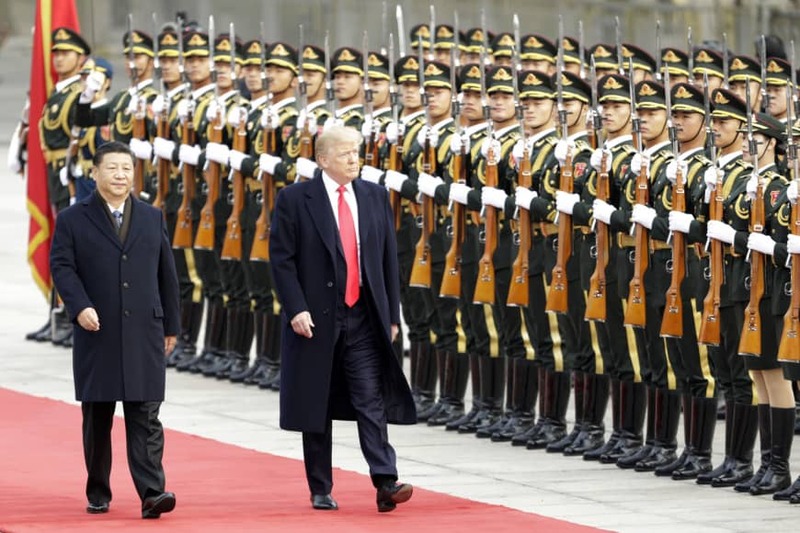 If, however, Washington rends these relationships through its own actions, or fails to prevent China from weakening them through intimidation and coercion, its competitiveness will erode as its isolation increases. The Cold War may not be a perfect analogy for the U.S.-China rivalry, but American policymakers would nonetheless do well to keep these lessons in mind.